This year The MotherLode is more of a “Festival”... it's a 6-day tourney with the addition(s) of a Men’s 55-over division and a Women’s 45-over division. A new format allows for all participants in the multi-day divisions (Saturday-Monday) to “break” pool and to move into playoff competitions with the top teams moving into the “MotherLode Championship” division and the rest of the teams moving into the “Festival” division: Plenty of play; and, still, plenty of time for fun. "In 1972, a couple of Aspen, Colorado restaurateurs decided to spice up what was, at that time, a lackluster Labor Day Weekend by hosting a small, invitation only, volleyball tournament. Little did they know that their one day, 14 team tourney was going to become one of the biggest, and most popular, pro-am beach doubles volleyball Events in North America - the MotherLode Volleyball Classic, held every Labor Day Weekend in Aspen, Colorado. Transplanted from Newport Beach, California, all Howard Ross and Gordon Whitmer - the co-owners of The MotherLode Restaurant, in Aspen - were trying to do was to have a little fun and provide themselves and their friends with a beach volleyball "fix" on a quiet Labor Day Weekend. They set-up courts in Wagner Park, provided food for a barbecue, brought in a keg of beer, and played volleyball. The winners of that first "informal" tourney were none other than beach legends Chester and Steve Goss, from San Diego living in Aspen. It was fun! So…they decided to do it again the next year. And, a few more teams showed-up. The next thing they knew, they had - without the benefit, or effort, of advertising and promotion - a full-blown tourney on their hands. Over the years, the Event has grown to become the most comprehensive beach doubles volleyball tournament in North America; including upwards of 700 teams coming from all over the United States to participate in, and celebrate, what Volleyball Magazine has termed "the social event of the outdoor volleyball season". It has expanded from a one-day tourney to a six-day Event." COME JOIN US ... 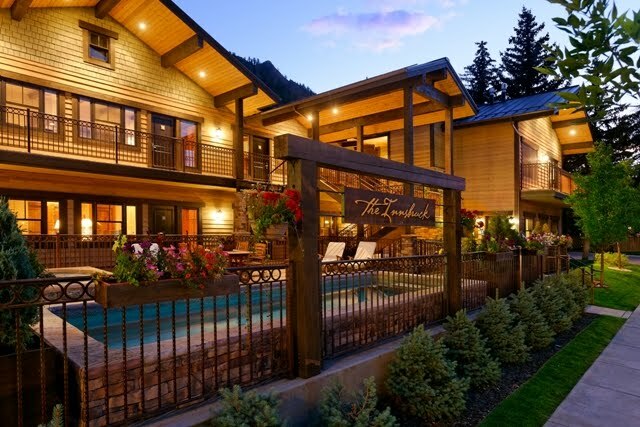 The Innsbruck Aspen is THE place to stay over Labor Day....and during this Classic Event! In Colorado we call the aspen leaves fluttery movement in the wind...quaking! 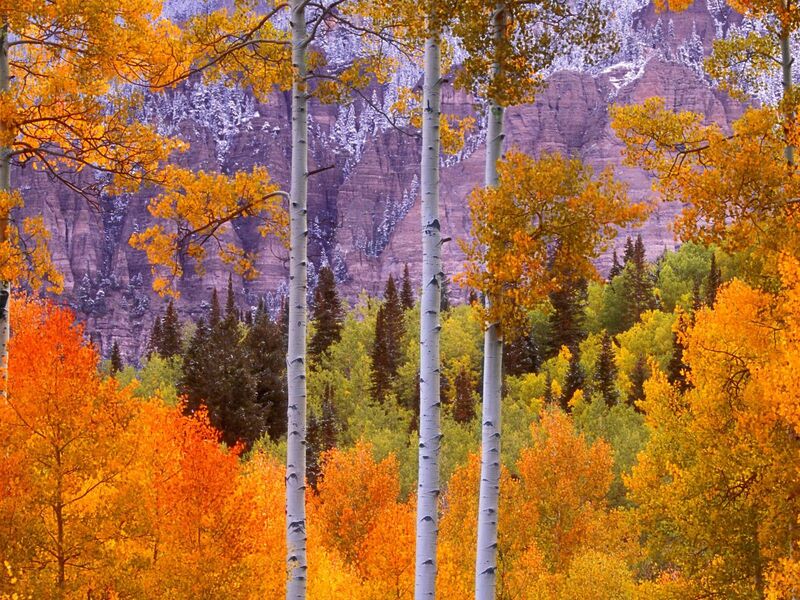 People in our state have named towns, streets, and beer after the amazing Aspen tree. When the incredible changes of vibrant gold and red take place....well, you just have to COME JOIN US and see it for yourself! The month of September is the ideal time to witness this amazing change, but you have to time it right because the color lasts only about a week in most places. But you can check with the U.S. Forest Service, they have a finger on the pulse of these changes. Maroon Bells just southwest of Aspen is possibly the most photographed mountains in North America. These peaks are an ideal spot to capture the glory of fall color on film. On weekends in September, access to the bells is limited to shuttle buses that leave Aspen on a regular basis. It's amazing to see the golden aspen leaves framing the purple striped Maroon Bells. WHEN THE LEAVES CHANGE THE POW-POW IS NOT FAR BEHIND! Although Winter is a couple of months away, The Innsbruck Aspen availability is starting to fill up since an incredible snow season is predicted this year! CALL US SOON so you can make some memories this Winter here at the Innsbruck Aspen, enjoy the beauty and nightlife that is Aspen....and make some righteous turns on any of our 4 incredible mountains, Aspen/Apsen Highlands/Buttermilk and of course, Snowmass! 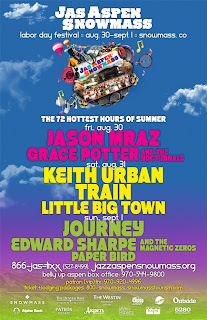 A weekend at Jazz Aspen Snowmass includes so much more than world-class music! Incredible line up this year, so COME JOIN US...you can enjoy the music....have an extreme adventure weekend, just relax (it's Aspen), or lots of fun activities for the kids!! 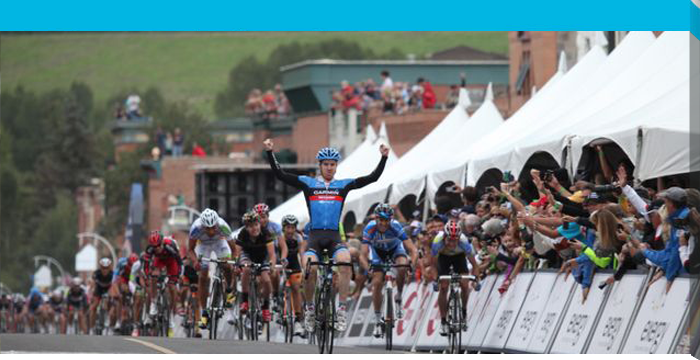 MONDAY, August 19th....ASPEN'S READY FOR THE 2013 PRO CYCLE CHALLENGE! This year will launch with the first ever 2013 kickoff circuit event - the Aspen/Snowmass Circuit Race! 127 Top Pros from around the world will take off from Aspen. Check out our August 10th Blog for all the pre-race activities schedules....so much fun for everyone, bike enthusiasts or not! 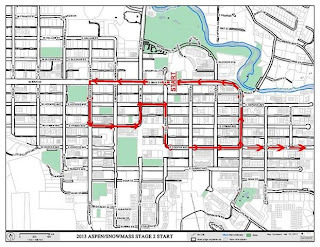 Don't forget that entry and exit to Aspen on Monday, August 19th, will be closed for the race from 12Noon to 4:00PM...so make your plans to get into town or head out before everything closes down for the racers at noon. We've included a map of the race route in town in this blog. LOTS OF MUSIC IN ASPEN THIS SUMMER....BUT THE THEATRE AND STAGE PERFORMANCES ARE INCREDIBLE....COME JOIN US! SHAKESPEARE IN THE PARK at the Galena Outdoor Plaza performs "Romeo and Juliet" tonight and all through the weekend. Beautiful rendition...under the stars in Aspen! THEATRE ASPEN, celebrating 30 years and performing 3 different plays....still going strong with the classic "Les Miserables" along with "You're A Good Man Charlie Brown," and the hilarious one-man show, "Fully Committed." 2013 Pro Cycle Challenge....a week away!! Come join us....the race runs right by The Innsbruck Aspen...our guests are going to have a great vantage point! ­— New Belgium, Spotlight Ride of the Day. Meet at the Sky Hotel, tour to Maroon Bells, 8 a.m.
— Valhalla Nights, top of Snowmass Mountain, 5:30-9 p.m., evening gondola rides to the Elk Camp Restaurant. — Peloton Aspen 13, 6:30 p.m., Shane Aspen Real Estate presents the Kickoff Party to the USA Pro Challenge, a benefit for the Davis Phinney Foundation and Aspen USA Pro Challenge (advance tickets required). — New Belgium Spotlight Ride of the Day. Mountain bike tour at Snowmass Village. Meet at the Ranger Station, 8 a.m. Advance registration at www.aspenupcc.com. — Snowmass Village Opening Ceremonies, 3 p.m., tour team parking, upper lots 10, 11, 12. — Snowmass Village mall festivities, 4-6 p.m., including best bike legs competition. — Wildwood Pool Party, 5-6 p.m.
— USA Pro Challenge Opening Ceremonies, Snowmass Base Village Plaza, 6:15-8:30 p.m., team introductions. — New Belgium Spotlight Ride of the Day, Aspen tour to Ashcroft. Meet at the Hickory House, 8 a.m. Advance registration at www. aspenupcc.com. —Aspen Finish Line Festival, 11 a.m.-6 p.m. Festival grounds located at Paepke Park in downtown Aspen. — Bike Around Happy Hour, 5-7 p.m.
— Aspen Sprint Challenge, seeding rounds, 6-8 p.m.
— Moonlight Cruise, downtown Aspen, 9 p.m., start by Wagner Park. 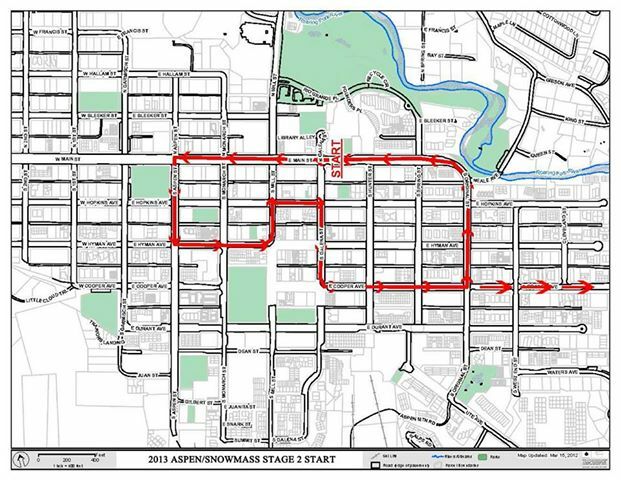 — Stage 1 Race Start, 1:05 p.m., Main Street downtown Aspen. 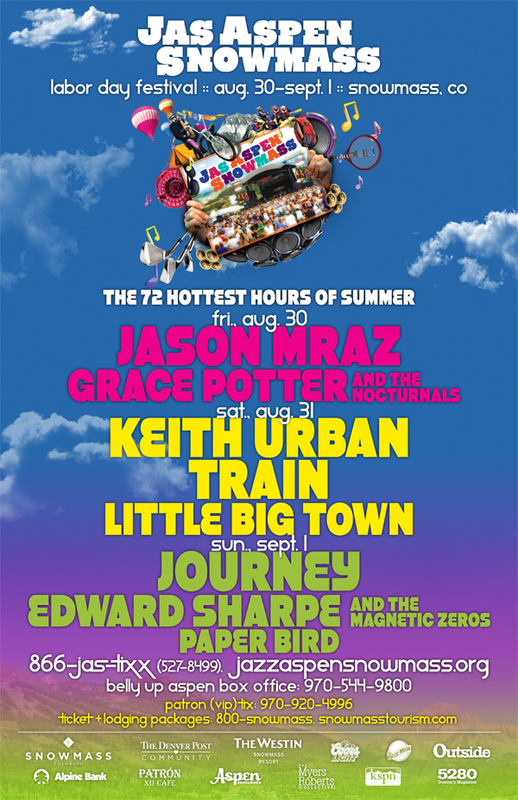 — Aspen Finish Line Festival, noon-6 p.m. Festival grounds located at Paepke Park in downtown Aspen. — Aspen Sprint Challenge, final eliminatiion rounds in between laps of the USA Pro Challenge. — Stage 2 Race Start, 10:30 a.m., Main and Garmisch. Doesn't get much more Colorado than this! Come up and join us....rodeo season here ends on August 28th!! BBQ before the rode, and the action starts at 7 p.m. and ends about 8:30 p.m.
Family entertainment at its finest in the true Colorado tradition. 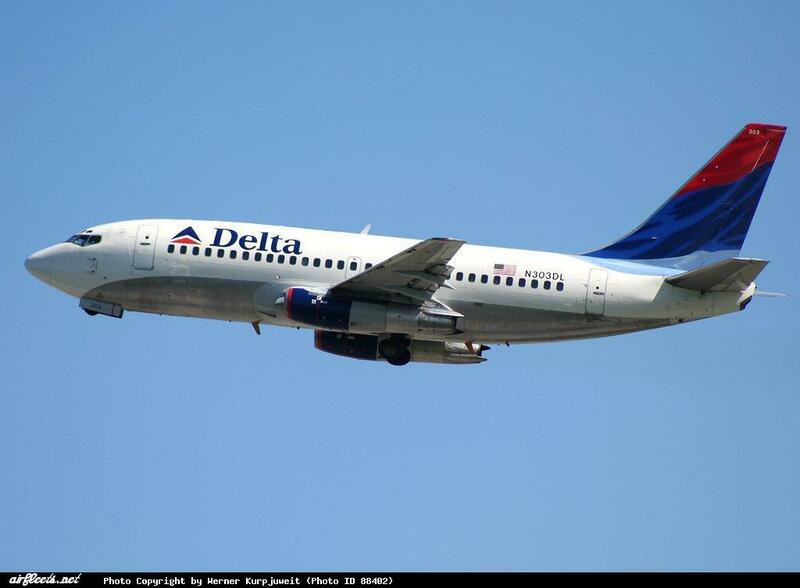 DELTA AIRLINES BEGIN DAILY FLIGHTS TO ASPEN 2013 WINTER SEASON! Delta Airlines joins United and American Airlines in flying in to Aspen's Sardy Field starting 2013 Winter season! Delta announced this week that it will begin daily flights from Atlanta and Saturday-only flights from Minneapolis.-St. Paul on Dec. 21. Delta, United and American will be providing winter flights to Aspen from cities including Denver, Chicago, Dallas, Houston, Los Angeles, San Francisco and now Atlanta and Minneapolis.-St. Paul. The new service allows loyal Delta customers to conveniently experience the many winter sports and cultural activities that take place in Aspen/Snowmass. So...COME JOIN US AT THE INNSBRUCK ASPEN...flights and rooms are already filling up for this Winter!